Guys. Seriously. I'm kind of in awe about this. 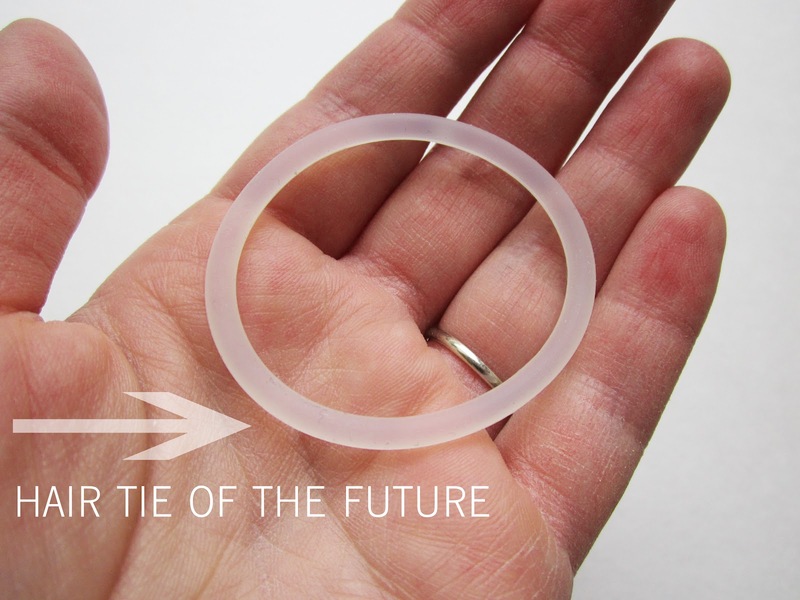 Are you ready to see the hair ties of the future? Okay, first a little back story. So, I have thick hair. Ultra thick hair. 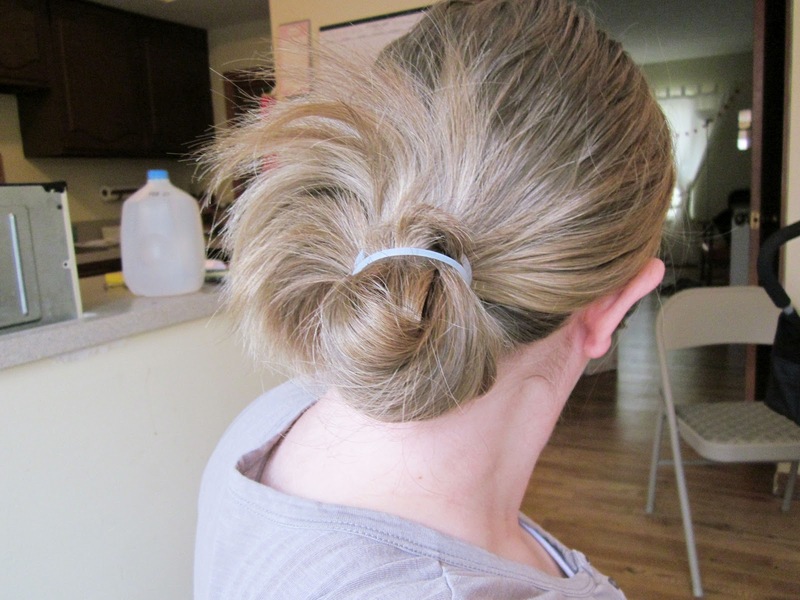 Like, twice the thickness of one of my sisters' pony tails--that kind of thick hair. So I tend to burn through hair ties. Forget the skinny kind. Those things are trash when your hair weighs as much as an elephant. 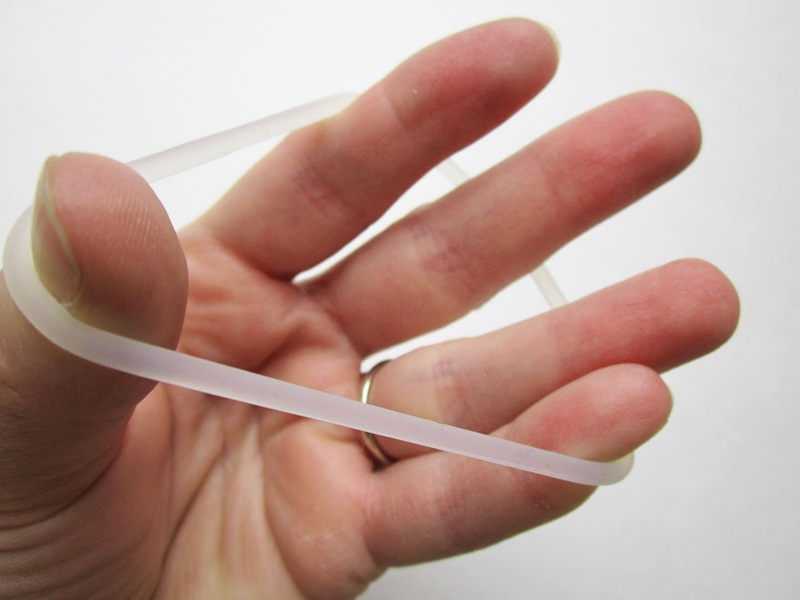 I usually use the thick ones (like these), but even those stretch out pretty quickly for me. So lately I have been using 2 thick hair ties together, but they're still all stretched out. So this morning before we went to the park my friend and I made a stop at the grocery store and I decided it was time to finally cave and buy some new hair ties. There we were, standing in the hair stuff isle, when something strange caught my eye. 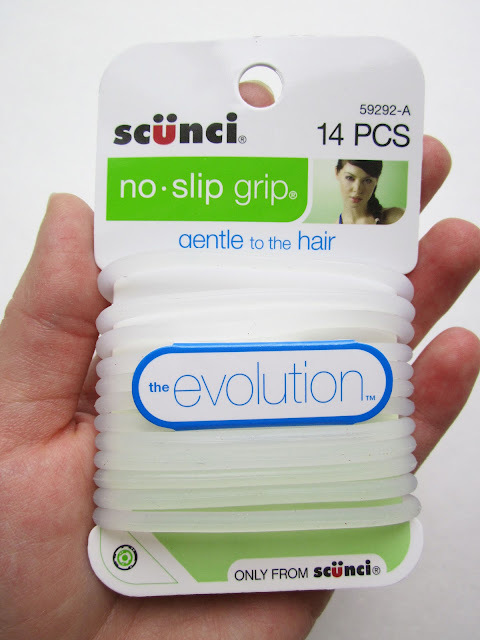 Something that will softly grip my hair, but not pull it out and make me go bald? It seemed too good to be true. How could it not be? But I pulled it down from the rack for a closer look. Are you ready for a closer look yourself? Try not to be too jealous of my rad hair-styling skills. Or the empty milk jug on the counter. They're stretchy, but not too stretchy. Grippy, but not too grippy. And the best part? One hair tie actually holds up my massive head of hair! Hooray hurrah! Who knew this day would come? Not me. Needless to say, so far I am in love. Anybody else out there tried these intergalactic hair ties? If so, let's start a club. Note: This is not a sponsored post. I'm just really excited about not having my ponytail fall out every five minutes and I had to shout it from the rooftops. Or, blogtops, as the case may be. I tried these last year as I too have super thick hair and they tottaly shredded my hair getting all tangled and stuck. Send me your address and I'll send you the ones I have left. I've been using these for a few weeks now, and I love them!! You do have to be a little more careful when pulling the out of your hair, but they work miracles. I can put my hair up in the morning, and completely forget about it for at least 12 hours!! I tried them a couple of months ago. They pull out my hair if I am not very careful, but your hair is courser than mine, so you may not have that problem. it's the way of the future... the way of the future.